Heal-all, also known as Self-Heal, Carpenter's Weed and Blue Curls, is a perennial herb in the mint family that is native to Europe, North America and Asia. The entire plant is edible in salads and soups, while the dried herb is used to make teas and infusions. Traditionally, heal-all is used to make mouthwash and gargle, as well as tincture or strong infusion for insect bites, scrapes and other minor skin irritations. active compounds Volatile oil, Tannin, Rutin, Beta-carotene, Sugar, Cellulose, Vitamin B-1, Vitamin C, and vitamin K.
storage tips Store in a tightly-sealed container in a cool, dark cabinet or pantry. cosmetic Use topically prepared as a warm poultice or as a strong infusion for use as a skin wash.
culinary Brew as tea, alone or in combination with other herbs. The dried herb may also be added to soups and stews. safety Consult with your physician before using this herb if you take anticoagulant medications. Due to the presence of vitamin K, high intake of this herb may increase the effects of blood-thinning drugs like warfarin. 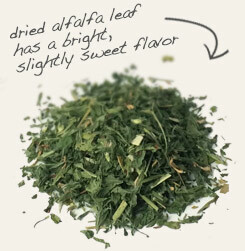 Blend with alfalfa leaf in teas and herbal infusions. 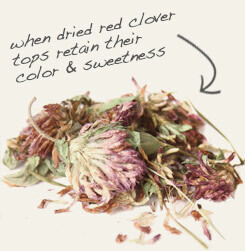 Combine with red clover flowers when making topical preparations. 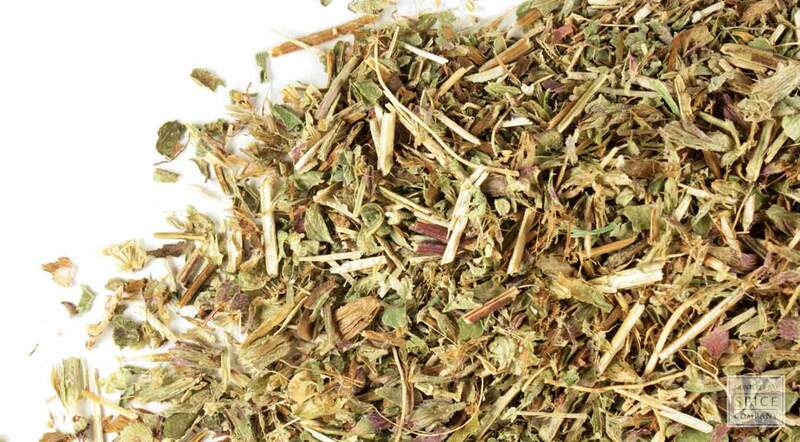 The bland but pleasant flavor is enhanced with the pairing of other herbs and fruits. Heal-all is a creeping perennial that is native to temperate zones of the northern hemisphere to Central America, with a generous natural distribution throughout the British Isles. For centuries, the herb has been used topically for various skin conditions, apparently with such success that 16th-century herbalist John Gerard declared that “there is not a better wounde herbe in the world.” The reputation of this plant for efficacy and ease of use is referenced in its numerous common names, which include self-heal, Hercules' woundwort, carpenter's herb, wound root and heart of the earth. Although heal-all is a member of the mint family, it does not possess a mint-like flavor or fragrance. The plant does, however, provide a significant amount of rutin, beta-carotene, vitamin B-1, vitamin C and vitamin K. Due to the presence of the latter, heal-all was used to staunch bleeding up until the early 1940s. Background: Prunella was likely unknown in ancient Rome and Greece. appear beginning in 204 B.C. during the Han Dynasty in China.It was referenced in Gerard's Herbal of 1597, and herbalist Nicholas Culpepper's 1653 herbal. Description: Heal All is a creeping perennial 1-2 ft tall, native to Eurasia growing in temperate climates. Lance shaped leaves are serrated, reddish tip, 1 in. long and 1/2 in. wide growing on short stalks in opposing pairs on stem. Flowers grown out of a squarish, whirled cluster,above two stalk-less leaves and are double lipped tubular, the top hood is purple, bottom lip most often white. Leaves and small flowers are edible. Thrives in moist, well-drained soil in sunny areas and light shade. It has become a common and abundant wildflower. As a member of the mint family it should be noted that Prunella, however, is not minty in fragrance nor flavor. Prunella species are used by the larvae of some Lepidoptera species including Coleophora albitarsella as food plants. The dried herb can be added to soups and stews.